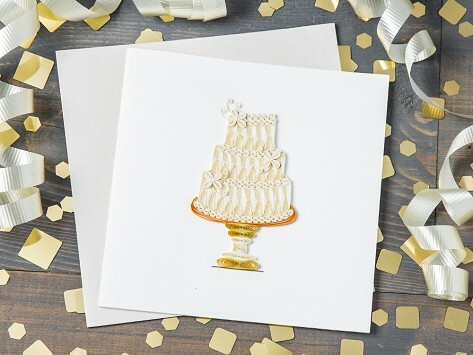 A handcrafted quilling greeting card is an artful and unique way to send birthday wishes, give thanks, or say I love you. Each charming scene is created with carefully rolled and shaped strips of paper. This intricate work results in an extra-special card that doubles as a mini piece of art. Made in Vietnam.